As our hatred for and awareness of our sin increases, we desperately need a biblical view of the grace of God. We need the Scriptures to paint a clear picture of who God is and how much he loves us in Christ Jesus. We need to see the God of the Scriptures who is so gracious it blows our minds—bringing us to tears and repentance. In Micah 6:6-7, the Israelites have a warped view of who God is. In verses one through five, the Lord offers a tender rebuke asking, “What have I done to you?” He reminds them of how he delivered them out of the hand of Egypt and other righteous acts he’s done on their behalf. With what shall I come before the LORD, and bow myself before God on high? Shall I come before him with burnt offerings, with calves a year old? Will the LORD be pleased with thousands of rams, with ten thousands of rivers of oil? Shall I give my firstborn for my transgression, the fruit of my body for the sin of my soul? Instead of responding in gratitude, they exposed themselves. Whether they intended to or not, they paint this picture of God that makes him seem demanding, cruel and impossible to satisfy. The tone is unclear. We could assume that the speaker is genuinely trying to repent or we could assume that the speaker is indignant. Their disposition is beside the point. The point is that their view of God doesn’t line up with reality, and I’m all too familiar with their view of God. Back in college, a dear friend and I were confessing sin and praying. During our time of confession and prayer, we discovered that we had very similar pictures of God. We both viewed God as the angry father sitting on the throne appalled and shocked that we had sinned again. The God we pictured was impatient, angry and completely disappointed in us. We thought our heavenly Father lived in constant frustration with his rebellious children. So when I read Micah 6:6-7 recently, I could relate to the Israelites. Part of how we view God’s grace is often birthed out of our experience with each other. Whether it’s a parent, relative or our general view of mankind, our experience with sinful and broken people affects our view of our holy and righteous God. We’re unacquainted with grace, mercy, and truth that’s untainted by sin. 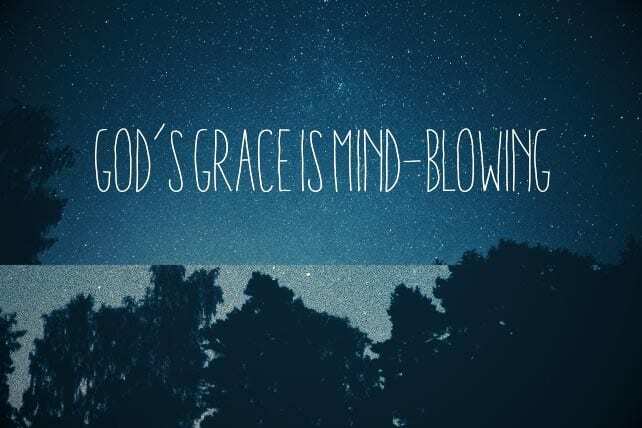 Humanly speaking, though we’ve experienced grace, we’ve never met a person that embodied grace perfectly. • Natural man is motivated to be gracious because man is aware (to some extent) that he’s just as guilty as the person in need of grace. • Natural man forgives others because he often only knows a small piece of all the other person is actually guilty of. I’m sure there are more human motivations for showing grace, but from these two alone we discover two factors that play enormous parts in our ability to forgive—our own sin and ignorance. Phillip Holmes (@PhillipMHolmes) is an itinerant preacher, co-founder and Vice President of the Reformed African American Network (RAAN) and co-host of Pass The Mic, RAAN’s official podcast. You can find more content by him at his personal site, Highest Good. He resides in Houston and is engaged to Jasmine Baucham.